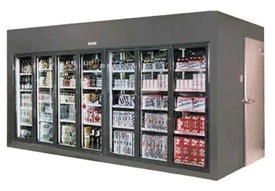 We specialise in all aspects of commercial refrigeration installation, service and maintenance. Some of our customers include major supermarkets, fast food outlets, hospitals and retirement villages. These customers demand a high level of service, and prompt response times. We currently have 8 service vehicles and operate a 24 hour breakdown service for emergencies.